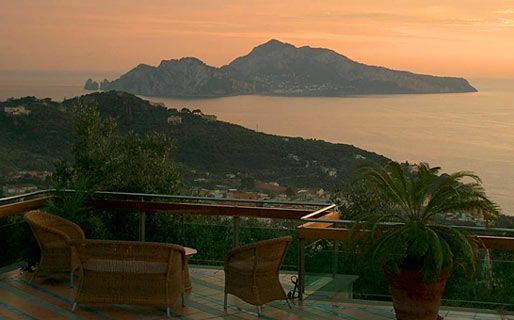 This frazioni of Massa Lubrense is strategically located on the hill slopes lording over both bays, the Bay of Naples and the Bay of Salerno, reason why it is called Sant’Agata sui due Golfi (on the two gulfs) The vistas from Sant’Agata are magnificent, sweeping and stunning. Captivating Sant’Agata still keeps a quiet atmosphere even though hotels abound in it. You should head for the 17th century Carmelite Convent of Deserto on Via Deserto to admire the best views of both bays. 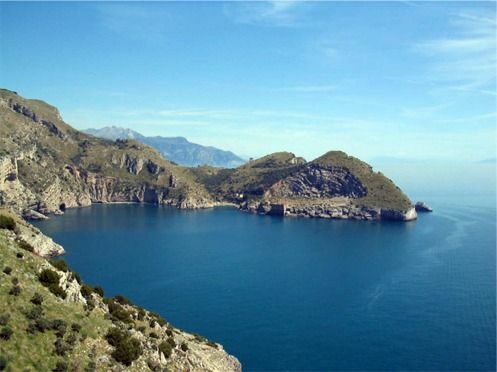 It sits on the hill slopes after a 1500 metres ascent from the heart of the village. On Piazza Sant’Agata is the Chiesa di Sant’Agata. The church was erected in the 1600s and its altar is a delightful artwork created by Dionisio Lazzari from Florence in the 17th century. Besides polychrome marble, the altar is decorated with inlaid marble, mother of pearl, lapis lazuli and malachite. The little tourist office provides information about Sant’Agata and its environs. It is situated off Piazza Sant’Agata, the core square in the village. Lo Stuzzichino is located on Via Deserto. It is perfecto to relax and enjoy its menu of well priced dishes of good portions. Its cuisine embracing pasta an many others is prepared with local products. You can dine in its inner dining room or relax sitting outdoors. Ristorante Don Alfonso, located on Corso Sant’Agata, has been rated by Michelin with two stars and is considered one of the most qualified places throughout the country. The chef creates its meals with the products from his farm off Punta Campanela. The restaurant is in an elegant setting and has a well stocked wine list of worldwide labels. Menu varies according to season but throughout the year there are some signature dishes such as the lightly seared tuna in red pepper sauce. Reservations are a must. BY BUS: there are regular buses departing from the Circunvesuviana railway station in Sorrento (services: every hour). BY CAR: leaving Sorrento drive along the SS145 west for approximately 7 km. The signs to Sant’Agata are situated to the right. 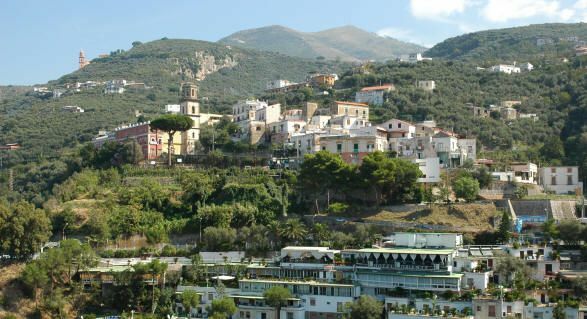 ON FOOT: walking lovers can go on foot along a 3km-strolling footpath connecting Sorrento and Sant’Agata.